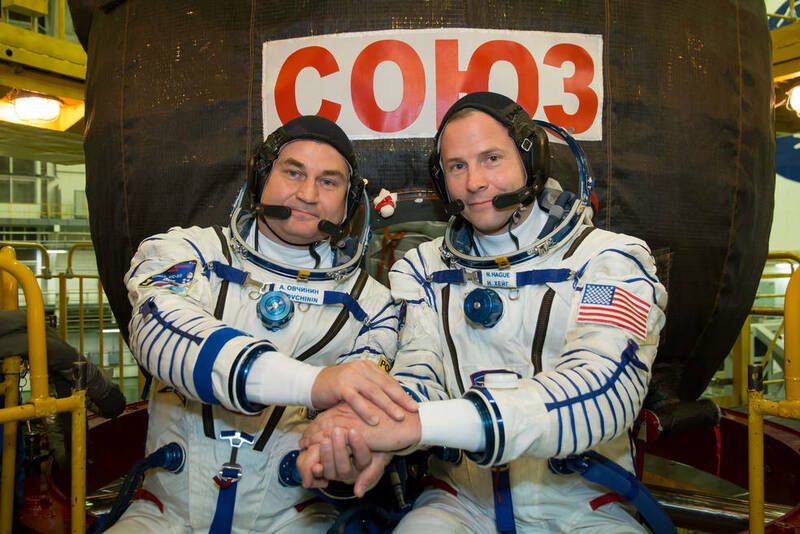 Hague and Alexey Ovchinin of the Russian space agency Roscosmos will launch from the Baikonur Cosmodrome in Kazakhstan at 4:40 a.m. EDT (2:40 p.m. Kazakhstan time) on a four-orbit, six-hour journey to dock to the station at 10:44 a.m.
Less than two hours after arrival, hatches between the Soyuz and the station will open and they will join Expedition 57 Commander Alexander Gerst of ESA (European Space Agency, NASA Flight Engineer Serena Auñón-Chancellor and Roscosmos Flight Engineer Sergey Prokopyev, who arrived at the station in June. Beginning Tuesday, Oct. 9, video of the crew’s prelaunch activities in Baikonur will air on NASA TV leading up to the launch. The crew members of Expedition 57 will continue work on hundreds of experiments in biology, biotechnology, physical science and Earth science aboard the International Space Station, humanity’s only permanently occupied microgravity laboratory.